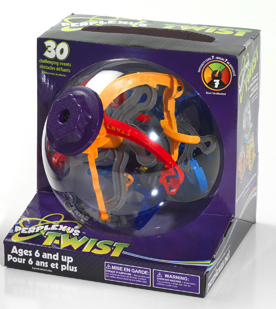 The Perplexus Family has a fascinating new "Twist"! This time around you will find traps, cliffhangers and dead ends. You can only move on by twisting and realigning the tracks within the shell. 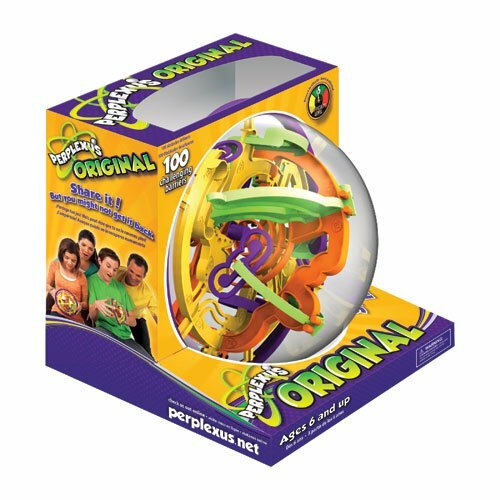 A great new dimension for the Perplexus Family of toys. 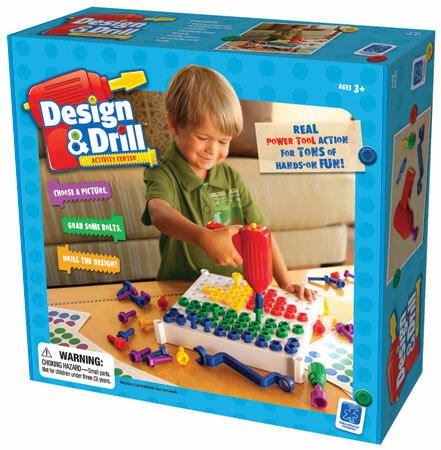 Power up creativity with the Design & Drill activity station. Kids will love using a power drill, wrench and brightly-colored bolts to create pictures and patterns on the activity board. Simply snap any one of the drill bits into the power drill, or the screwdriver handle, and let the fun begin! Designed to build coordination, and promote creative thinking skills, kids will love using their imaginations to follow design patterns on the activity cards, or concoct their own creations. Three AA batteries (not included) are required to run the power drill. Each game comes with 120 colorful bolts, an activity board, a wrench, a power drill and 20 activity cards. Design and Drill is recommended for ages three and up. Perplexus Rookie introduces you to the world of Perplexus and a whole new realm of perplexity! Perplexus Rookie will develop your skill as you learn to bend, twist and turn your way around the gravity defying barriers. Once you try it, you won't want to put it down! 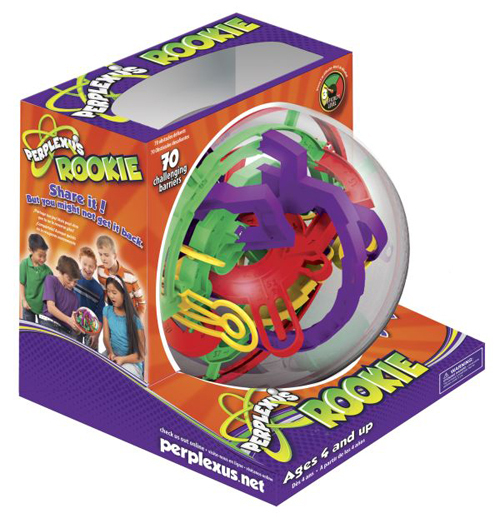 6.5 Inches in Diameter, 70 challenging barriers, Perplexus Rookie is filled with layers of detailed maze structures. It's a brainteaser puzzle with facets you'll find both fascinating and mind-bending. A shelter finish keeps the ball in place at the end to secure your success because after this remarkable achievement you're going to want to show the whole family! 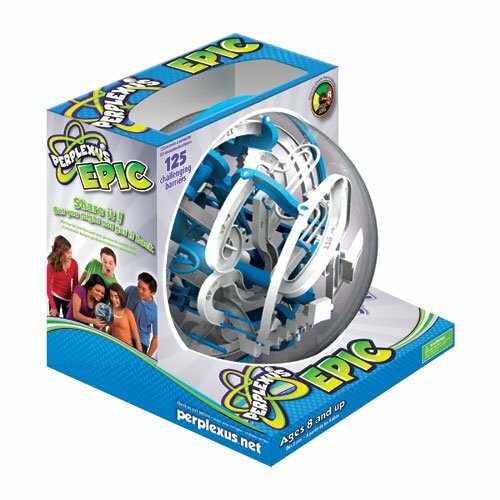 Perplexus Epic-the newest in the line of Perplexus mazes. With gnarly new obstacles that require a whole new level of concentration and finesse. Epic is about the right orientation, speed and balance. Remember, a gentle tap, a quick jerk, or a slight movement may be just what you need to stay on track. 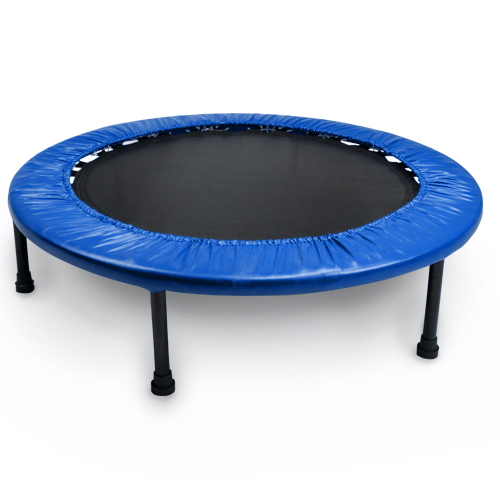 8.5 Inches in Diameter, 125 challenging barriers. For ages 8 and up. Perplexus is a maze game where players must maneuver a small marble around challenging barriers inside a transparent sphere. Unlike traditional flat-surface mazes that are composed of one path, Perplexus houses various exhilarating tracks with 100 barriers and provides a 3D experience. Players select which track they would like to attempt, and then must work with gravity and carefully shift, flip, and twist the sphere to guide the marble. Players can race each other or the clock. On top of being entertaining, Perplexus is also an educational toy, and assists in child development. 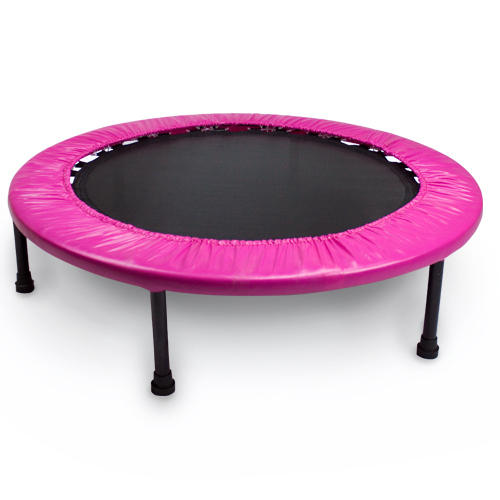 It is a great toy for children to exercise their motor and dexterity skills, as well as improve their hand-eye coordination. Its small size makes it easily portable. Get Lucky, or Lose It All! This here is Fortune's End, Nevada. Gold rush brought this town loads of gold folk, gold bust left behind all the band ones. Course, not all the gold's gone, providin' you know whose sticky fingers to pry it from... Roll your dice and pass your chips in this classic game of chance! The outlaw with the last chip standing wins the pot. Why You'll Love It: You've got three new ways to get lucky in Last Chip Standing: Devil's Luck! Sure, there are rival outlaws to your left and right, and your precious pot is the center of their attention, but the new Bandit and Horseshoe faces can really turn the game upside-down! 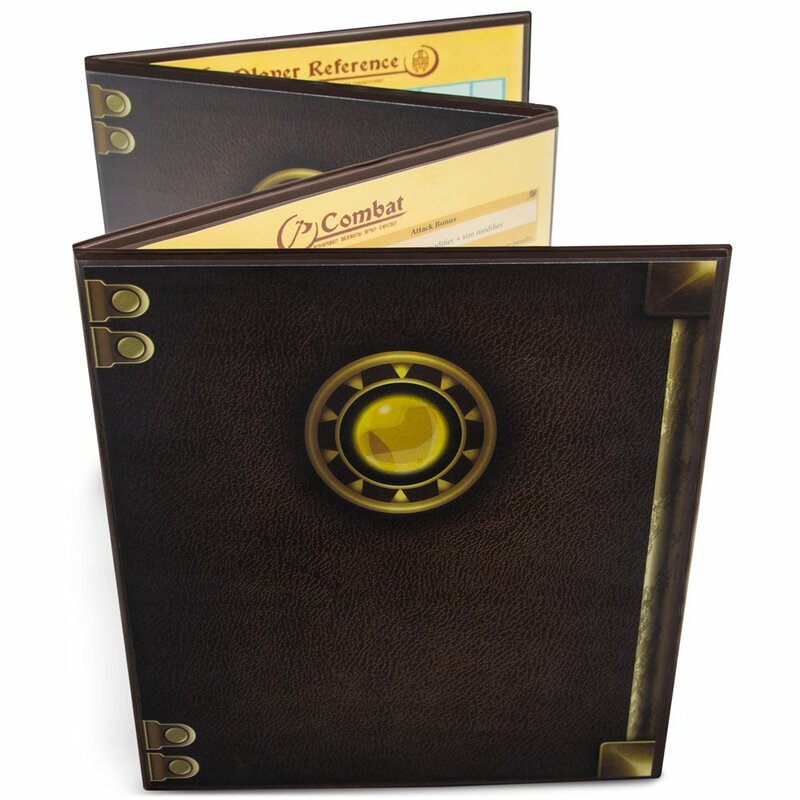 Roll your dice, but watch where the bandit points, or another player might purloin one of your gold chips. Of course, if you roll a Horseshoe the tables turn! Left is right, right is left, and center lets you steal right from the pot. With super simple mechanics that are easy-to-learn for children and adults, and an average game time around 10 minutes, Last Chip Standing: Devil's Luck is a delightful, bite-sized game packed with replay value that costs less than 10 dollars. Can't beat that. Great for young kids and old kids, this dice game feels as much at home at family game night as it does at family reunions. Thanks to the wide, king size bed and the cherry red crib, the whole family fits in this cozy bedroom set! The spacious wardrobe, vanity dresser, lamp and bedside table add lots of extra homey touches. Cut from natural wood and finished with safe, water-based paint. 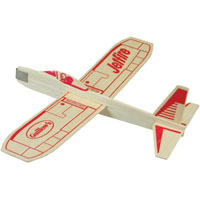 Includes 10 pieces in all, and is perfect for ages 4 and up. From the elegant floor lamp and flat screen TV to the oversized, cushy recliners and couch, this is one luxurious living room set that's sure to add tons of comfort to your dollhouse! Cut from natural wood and finished with safe, water-based paint. Includes 10 pieces in all, perfect for ages 4 and up. Picture this: You are a simple, unassuming sheet of foam. But you have a dream to be so much more than that. You can feel it, you were destined to be something greater. And on one fateful day you meet The Builder. With dextrous, powerful hands, The Builder punches you into 92 different shapes and begins to assemble them. He doesn't even need tools, slotting notches together like an engineering genius. And soon, you, now a 10" tall emoji, are a trophy worth of a mantel, and that's exactly where you are placed. And life is good. 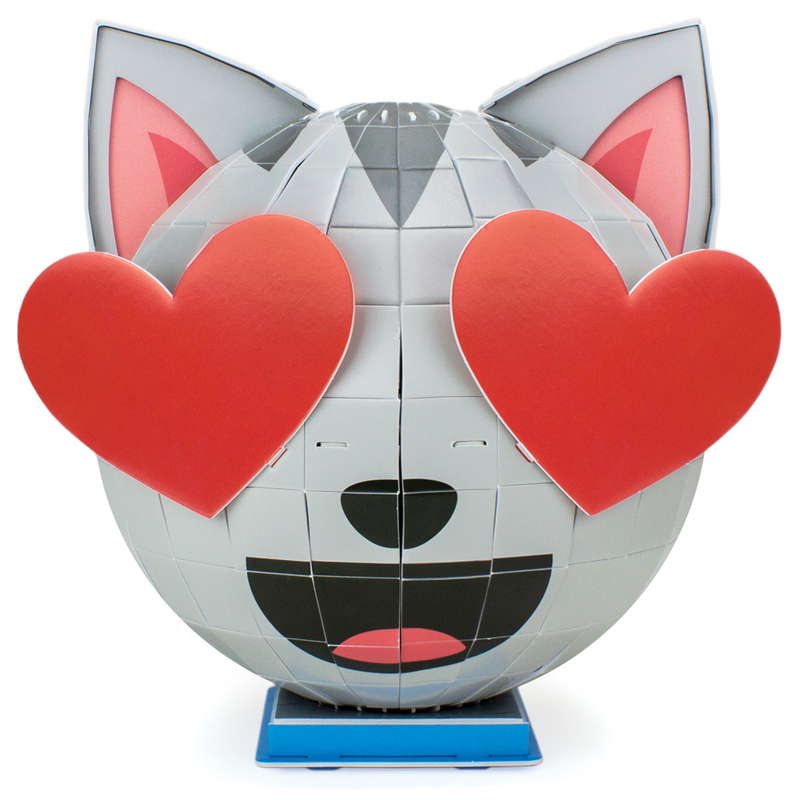 Featuring an opposing, Janus-like design of one friendly and one fiesty feline, our Frisky Felines emoji model stands 10" inches tall on its litter box display stand, has 92 pieces, and a complexity grade of 4 stars. That means you need to have a more delicate, precise touch, and that assembly time will last around 90-120 minutes. Good things come to those who wait and all that jazz. Pro-Tip: Make sure to push the "1" pieces in as far as they can go, and don't lift by the ears! Picture this: You are a simple, unassuming sheet of foam. But you have a dream to be so much more than that. You can feel it, you were destined to be something greater. And on one fateful day you meet The Builder. With dextrous, powerful hands, The Builder punches you into 94 different shapes and begins to assemble them. He doesn't even need tools, slotting notches together like an engineering genius. And soon, you, now a 9" diameter emoji, are a trophy worth of a mantel, and that's exactly where you are placed. And life is good. Featuring an opposing, Janus-like design of shades and taped spectacles, our Made in Shades emoji model proves that glasses do make the man! Standing 7" inches tall on its little red sports car display stand, the model has 106 pieces and a complexity grade of 4 stars. That means you need to have a more delicate, precise touch, and that assembly time will last around 90-120 minutes. Good things come to those who wait and all that jazz. Pro-Tip: Make sure to push the "1" pieces in as far as they can go! Teaser wands are a great way to stimulate your felines natural hunting instincts and practice the skills they'd use in the wild, no matter their age. This type of play enhances their development while keeping them lean well into maturity. It's also a great way to bond with your cat, or multiple cats, while expending energy to keep them calm and less aggressive. Not only is this a more affordable option than many cat toys on the market, but teaser wands are the most frequently preferred toys by cats (behind abandoned socks and empty boxes, of course). Who ever said all the fun has to stay inside the dollhouse? With its shady umbrella, relaxing lawn chair, and rusting porch swing, this patio set adds a whole new room you never knew your dollhouse had: the outdoors! Cut from natural wood and finished with safe, water-based paint. Includes 8 pieces in all, perfect for ages 4 and up. Picture this: You are a simple, unassuming sheet of foam. But you have a dream to be so much more than that. You can feel it, you were destined to be something greater. And on one fateful day you meet The Builder. With dextrous, powerful hands, The Builder punches you into 101 different shapes and begins to assemble them. He doesn't even need tools, slotting notches together like an engineering genius. And soon, you, now a 9" diameter emoji, are a trophy worth of a mantel, and that's exactly where you are placed. And life is good. 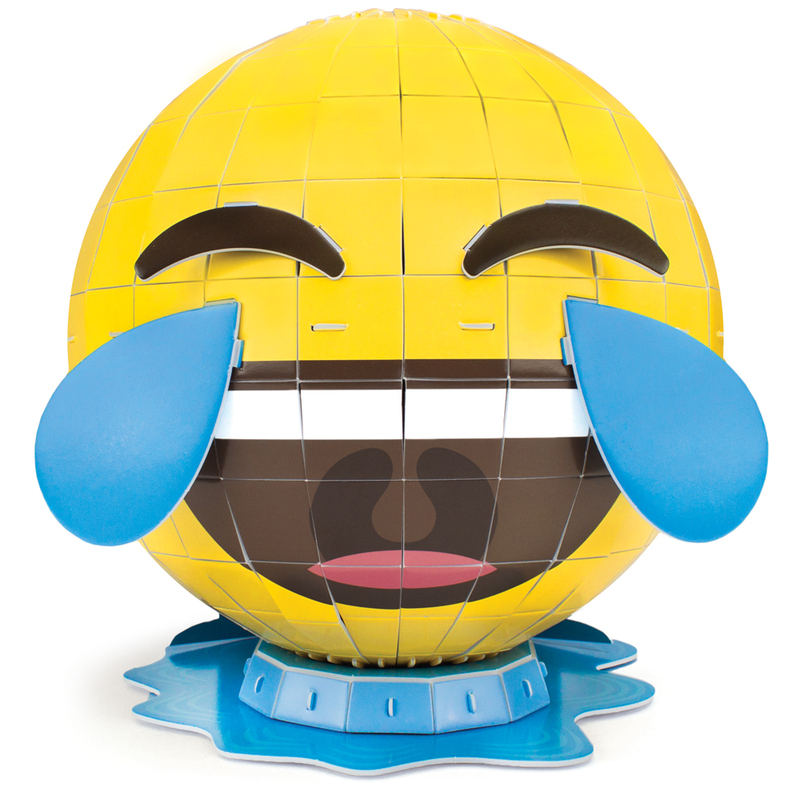 Featuring an opposing, Janus-like design of flowing tears of sadness and joy, our Waterworks emoji model stands 9.5" inches tall on its puddle display stand, has 101 pieces, and has a complexity grade of 4 stars. That means you need to have a more delicate, precise touch, and that assembly time will last around 90-120 minutes. Good things come to those who wait and all that jazz. Pro-Tip: Make sure to push the "1" pieces as far as they can go. Are you a board game aficionado missing important game pieces? 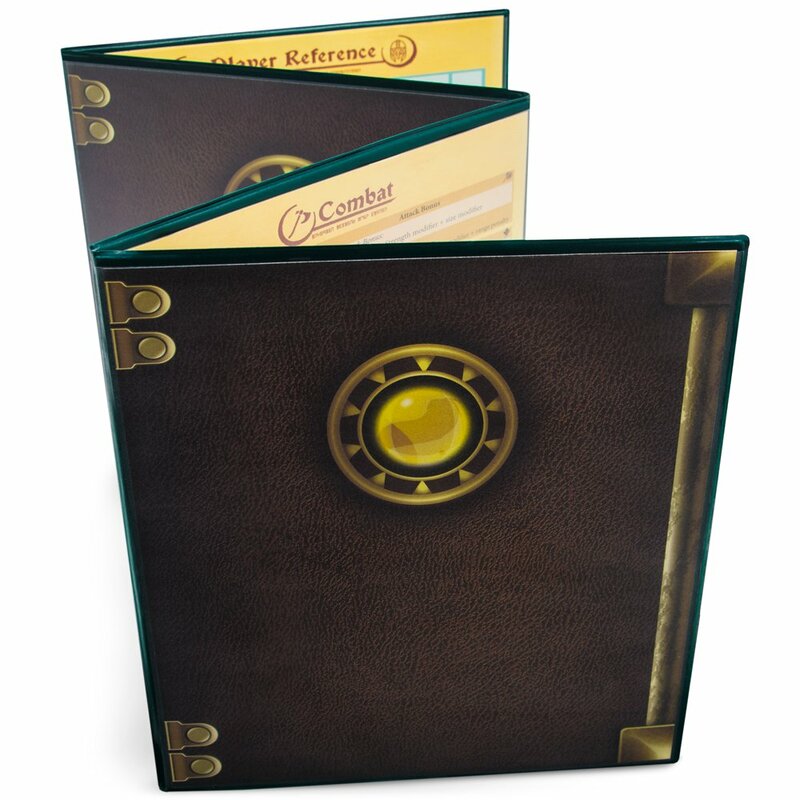 Perhaps you're a teacher looking for a fun way to teach new concepts? 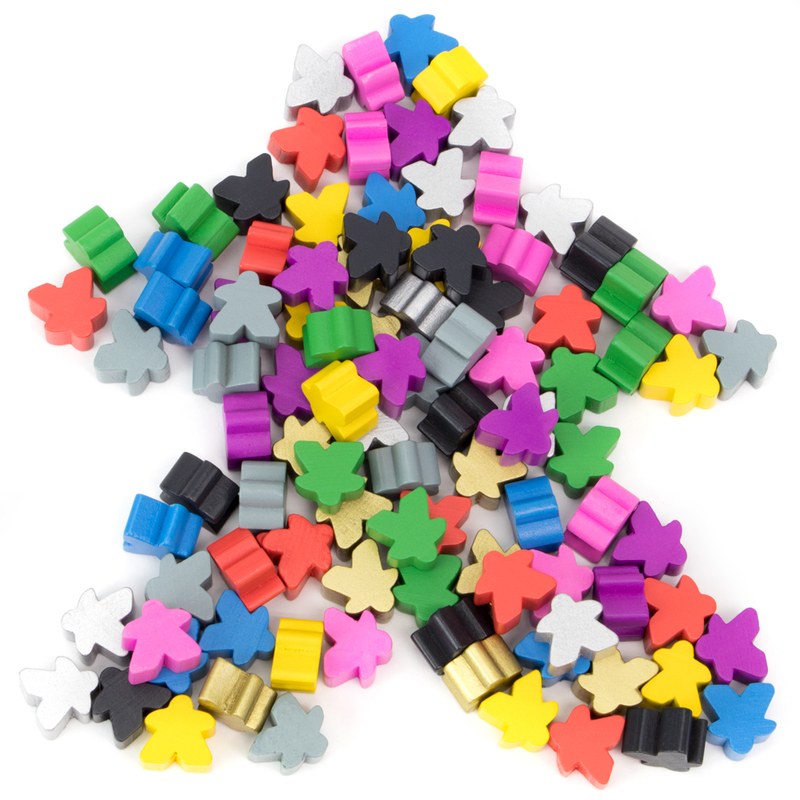 Our 100 pack of wooden meeples features 10 unique colors to amp up your collection. With a 16mm x 10mm standard size, these meeples are a perfect replacement for any board game pieces or a great addition to your crafts table. Measuring up to a standard size of 16mm, our meeples are complementary to most popular meeple-using board games of today. These little guys aren't just for games though! Keep them in the classroom to brush up on math skills or use 'em for scrapbooking and other fun crafts. To seal the deal, they come packaged in a resealable and reusable bag for stress-free storage. Picture this: You are a simple, unassuming sheet of foam. But you have a dream to be so much more than that. You can feel it, you were destined to be something greater. And on one fateful day you meet The Builder. With dextrous, powerful hands, The Builder punches you into 106 different shapes and begins to assemble them. He doesn't even need tools, slotting notches together like an engineering genius. 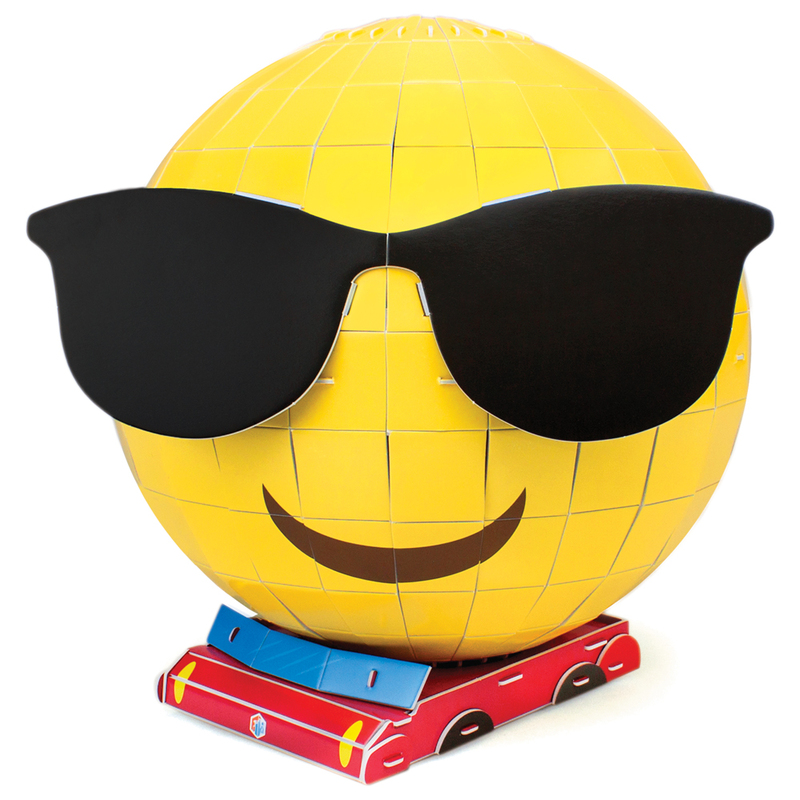 And soon, you, now a 8.5" diameter emoji, are a trophy worth of a mantel, and that's exactly where you are placed. And life is good. 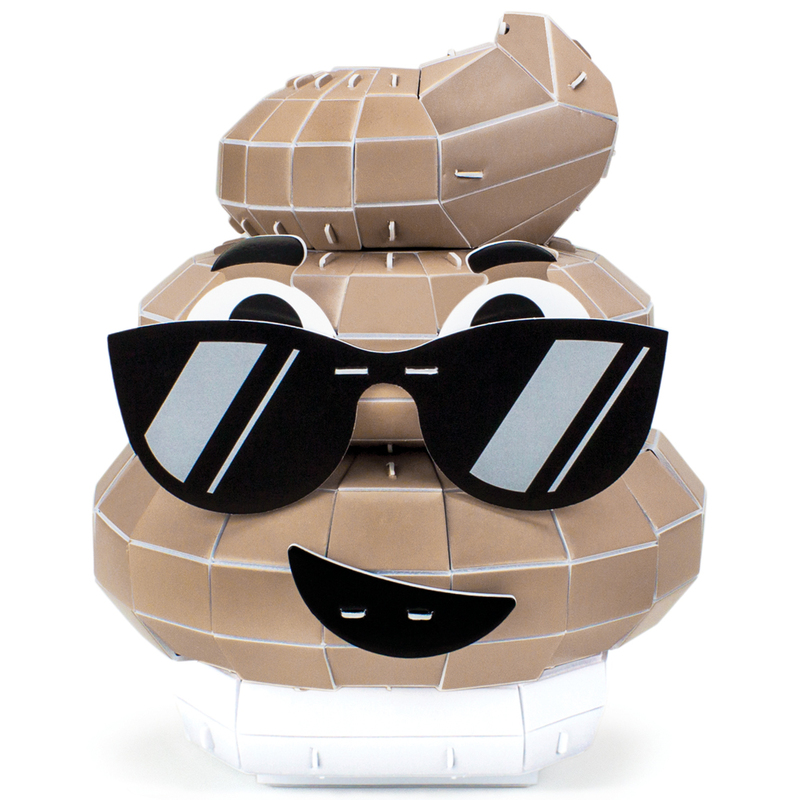 Featuring an opposing, Janus-like design of surprise and shades, our Deuces on the Loose emoji model stands 7" inches tall on its toilet display stand, has 106 pieces, and has a complexity grade of 4 stars. That means you need to have a more delicate, precise touch, and that assembly time will last around 90-120 minutes. Good things come to those who wait and all that jazz. Pro-Tip: Make sure to correctly orient the cross-shaped "spine," or you'll have to go back a few steps later on! Why You'll Love It: Your gold chips are never safe in Last Chip Standing! There are rival outlaws to your left and right, and your precious pot is the center of their attention. 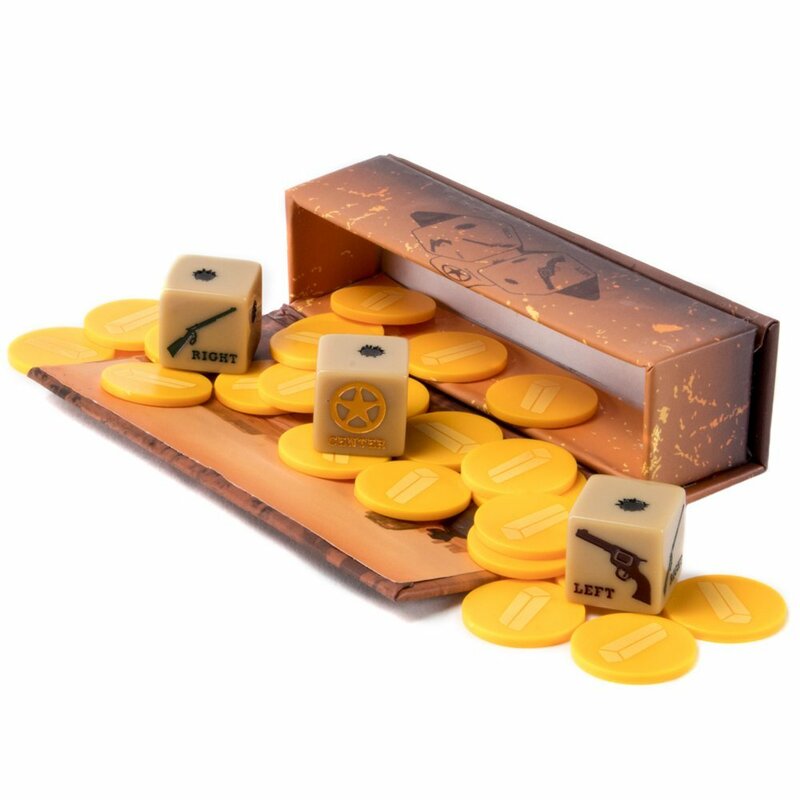 Roll your dice, and pray for the near miss of a stray bullet, else you'll be held up and forced to pass away your hard-earned loot. With super simple mechanics that are easy-to-learn for children and adults, and an average game time under 10 minutes, Last Chip Standing is a delightful, bite-sized game packed with replay value that costs less than 10 dollars. Can't beat that. Great for young kids and old kids, this dice game feels as much at home at family game night as it does at family reunions. ItG++s Time to Take Baby for a Stroll! Create custom shooting drills and fun training games in seconds with Hot Spots! These hardy and durable polyvinyl discs stick like glue to gym floors, and thanks to their super low profile they're completely safe to step on. So, say goodbye to your traditional cones. 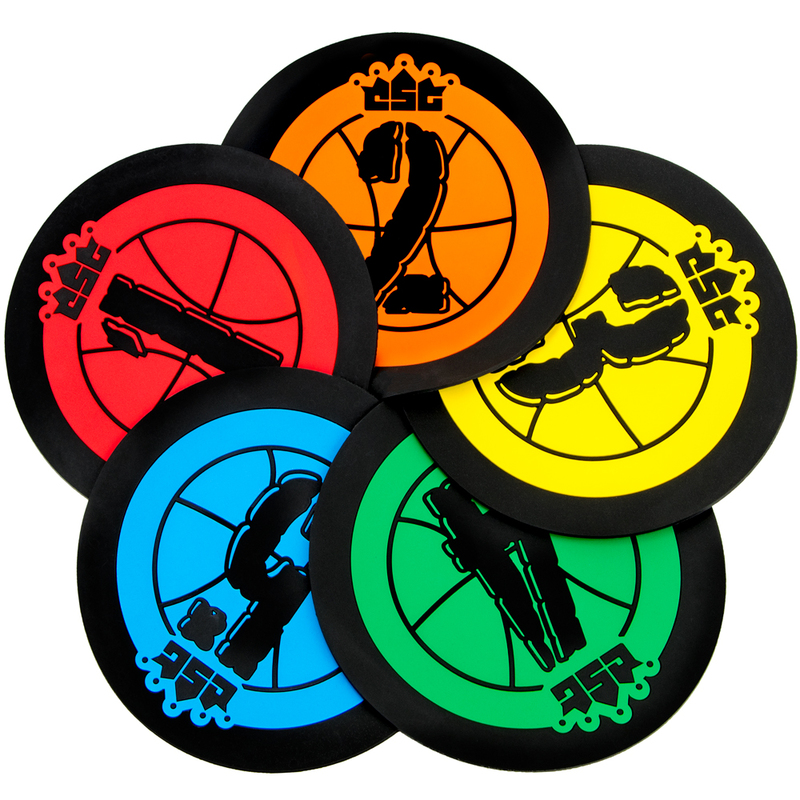 Measuring 7.5" in diameter, each Hot Spot is a different bright, bold color and is numbered from 5 to 1. Starting with Blue on the 5, Hot Spots are true to their name and "heat up" as you count up. When you hit 1, you're officially red hot! Lay out a path of spots to practice agility, reinforce positioning and court sense, or create a series of targeted shooting drills to practice difficult shots. The applications are endless. 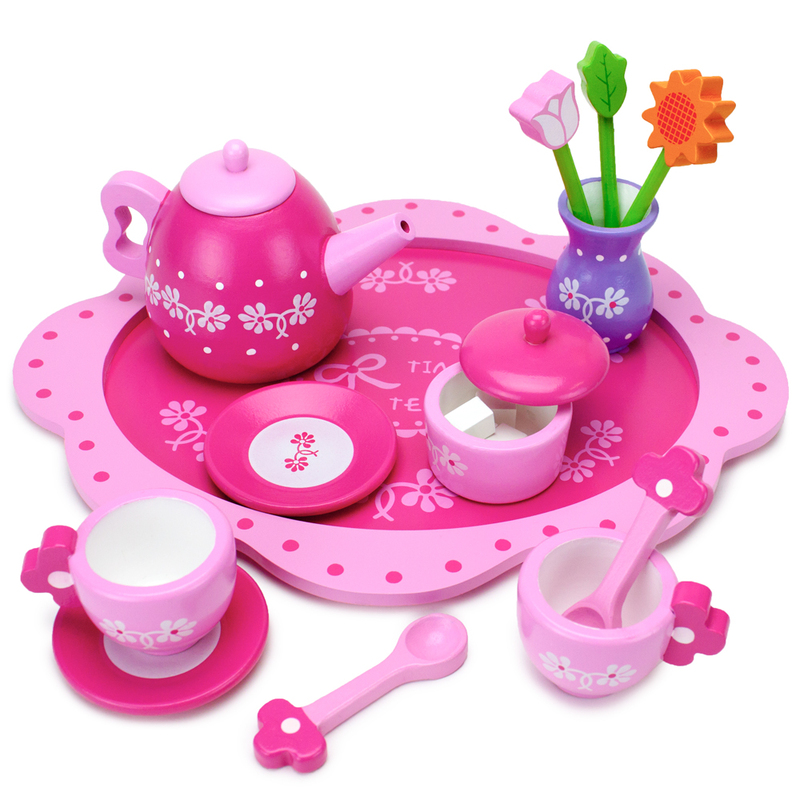 We think this pretty-in-pink tea set will be just your cup of tea! Pick up the kettle and pour a cup for you and your guest. Stir in a sugar lump if you like your tea sweet, and be sure to add the flowers to vase. Once the tray is arranged just so, carry it to the table and enjoy! 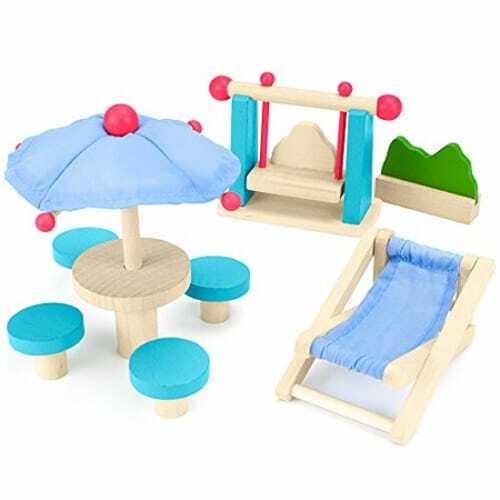 These thick, chunky pieces of natural wood are finished with safe, water-based paint and are the perfect tools for developing early motor skills, dexterity, and teaching the fundamentals of social skills like sharking serving others, and taking turns! "Pull 'em back and watch 'em go"
Which animal is the fastest - A mako shark, a peregrine falcon or an African lion? Now you can find out! All three models are artfully designed with a speedy animal in mind: Jack Hammer, the mako shark, who can zoom through the ocean, Avi Airy, the peregrine falcon, whose hunting dives reach incredible speeds, and Will Powers, the African lion, who can sprint faster than any animal in the wild. So, put your speedy racers at the starting line, give them a tug backwards, and watch these derby predators go full speed ahead! These derby racers are a great way to get kids using their hands for some friendly competition. Made with speedy predators in mind, little racers can find out which predator is the fastest. 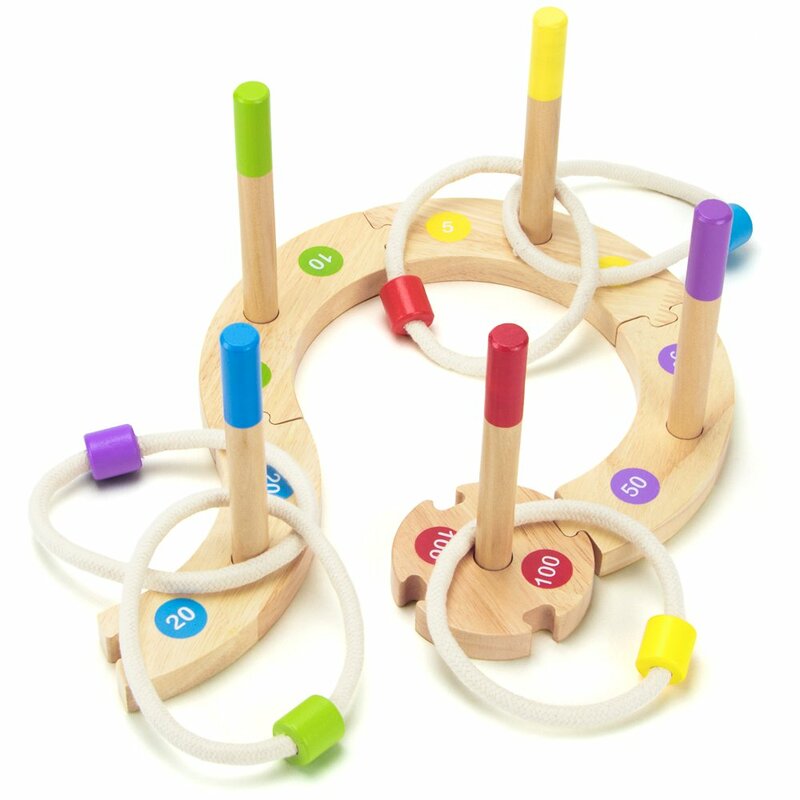 Their pull back design makes them great for supercharging fine motor skills and hand-eye coordination. 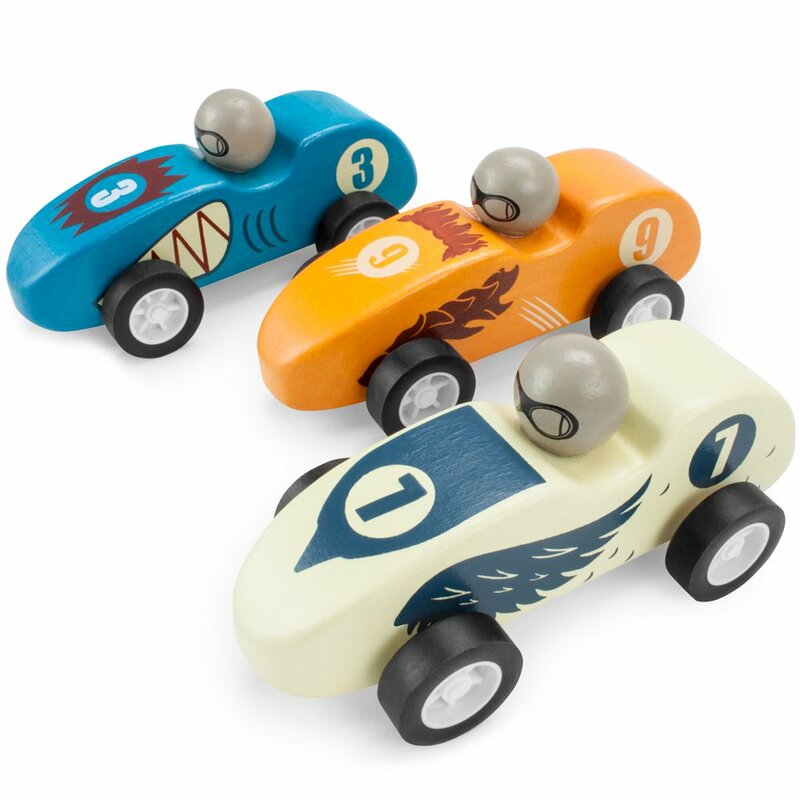 Made from natural wood with water-based safe paints, these derby cars are great for racers 3 and up. Your little ones will be off to the races for hours! Help Noah get all the animals on the Ark, two by two! You can use the shape sorting cut-outs to get some of the animals in the ark, walk the rest in through the big door, or take the top off and place them inside. 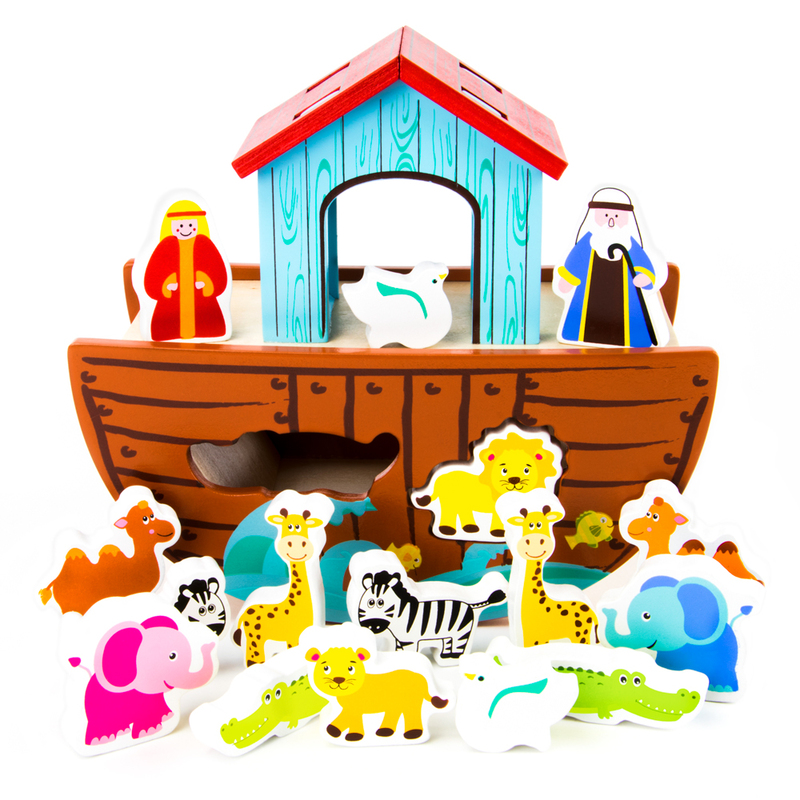 This bright wooden set is a great way to help little ones improve their problem solving, fine motor skills, and social skills, while also gaining a better understanding of one of the most well-known Bible stories as they recreate the story of Noah's ark. This playset includes Noah and his wife, two crocodiles, two elephants, two hippos, two birds, two lions, two giraffes and two zebras. Cut from natural blocks of wood, sanded smooth, and brightly colored with safe paints. Don't These Desserts Look Delectable? 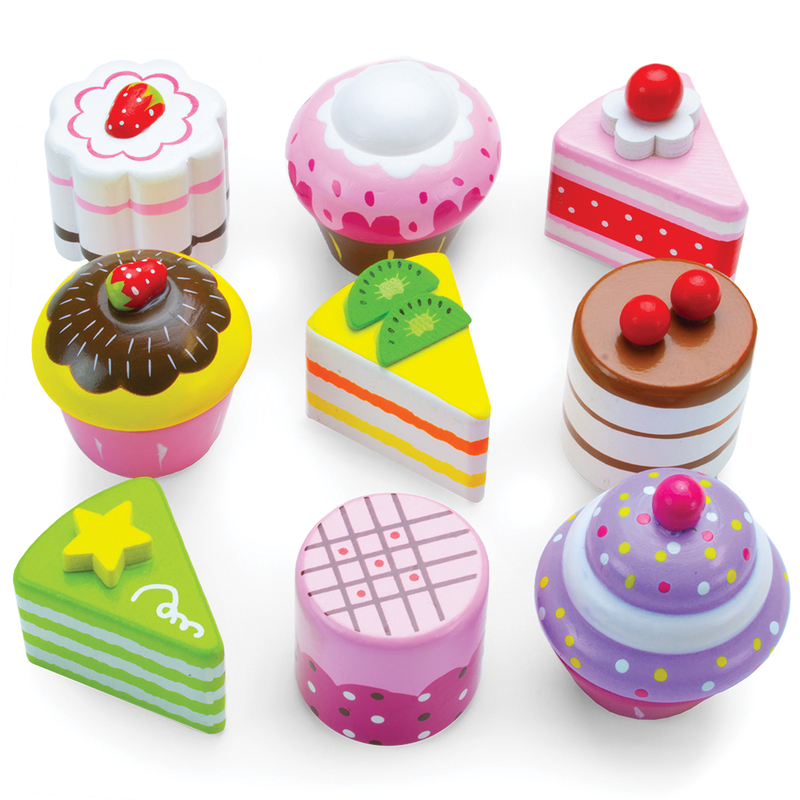 Add a touch of French class to any tea party with this box set of nine petit fours from Wood Eats! Inside the robin's egg gift box you'll find colorful layer and mini cakes and big, succulent cupcakes. They'll look absolutely ravishing displayed on a dessert tower, or served on a dish with a cup of tea! The classic quote, "Fight Smarter, Not Harder" is only half right. At Stratagem, we say "Fight Smarter, and Harder." Our premium neoprene battlemats are packed with the precise sorts of smart features that enable you to fight harder than ever before. Once you slide your mat out of the convenient shoulder-sling carry bag, it rolls out flat and uniform in just seconds. No performance-hindering dog ears or creases here. And thanks to the grippy neoprene backing, your mat stays put, even if things get a little heated. 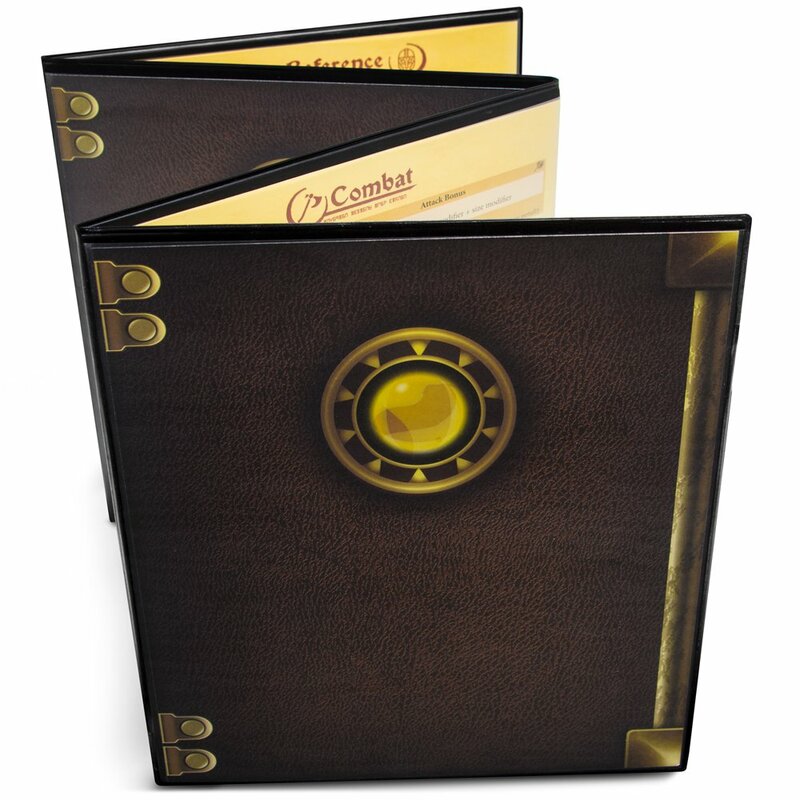 You'll love the soft, silenced dice rolls, the way your models glide across the smooth cloth surface, and you'll especially love the neoprene's extra cushion in the event of a dropped or toppled model. Our Open Field design features natural patches of battleworn grass and dirt and is applied using a long-lasting, fade and wear-resistant sublimation print. The gridless model is your catch-all that suits all gaming scales and styles. We also offer a Hex Mat with 1.5-inch (1.25-inch flat-to-flat) hexes, if that's more your thing. 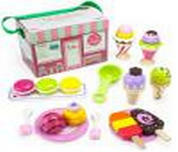 The Traveling Ice Cream Parlor playset from Imagination Generation is one innovation we wish were real! Open the roof of this cute little brick and stripes shop to find 25 delicious frozen confections just waiting to be assembled and served. There's two popsicles, three ice cream sandwiches, and a cool variety of scoops for sundaes and cones. Choose all your favorites! It's all in the name. 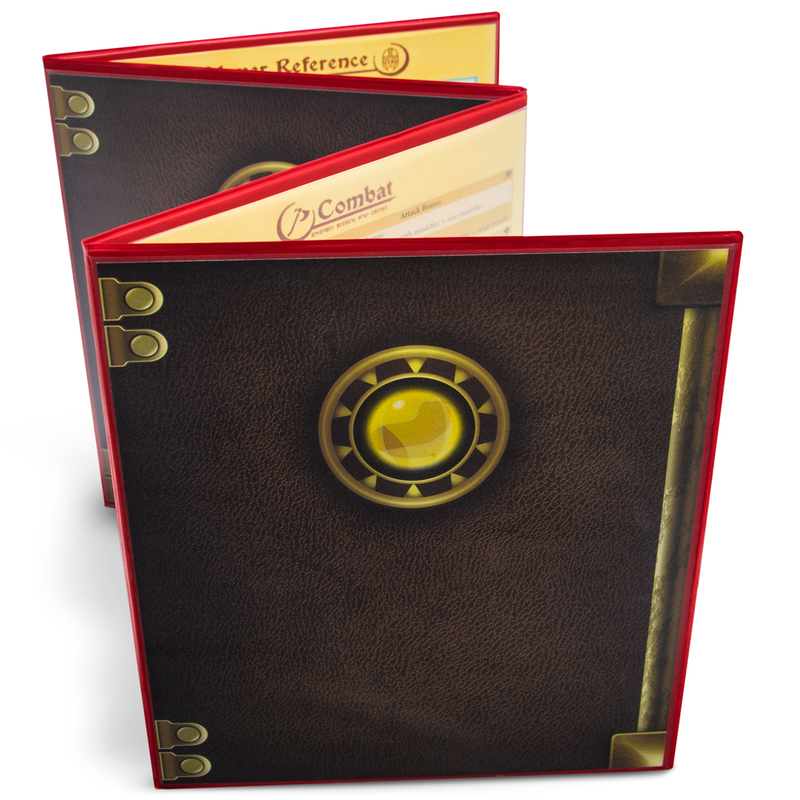 This playset packs right up into its illustrated carry box and can be taken anywhere! There's a tempting number of flavor options, and all sorts of fun confectionaries. What's more, playing pretend and serving others is a great source of social learning and encourages vital skills like sharing. This lil parlor is great for budding entrepreneurs ages 3 and up.